Monday at 9 a.m., Tuesday at 7:45 a.m. and Thursday at 1 p.m.
Kelby Ouchley, former manager of Black Bayou Lake and other area National Wildlife Refuges, provides expert insight into the flora and fauna of Louisiana. 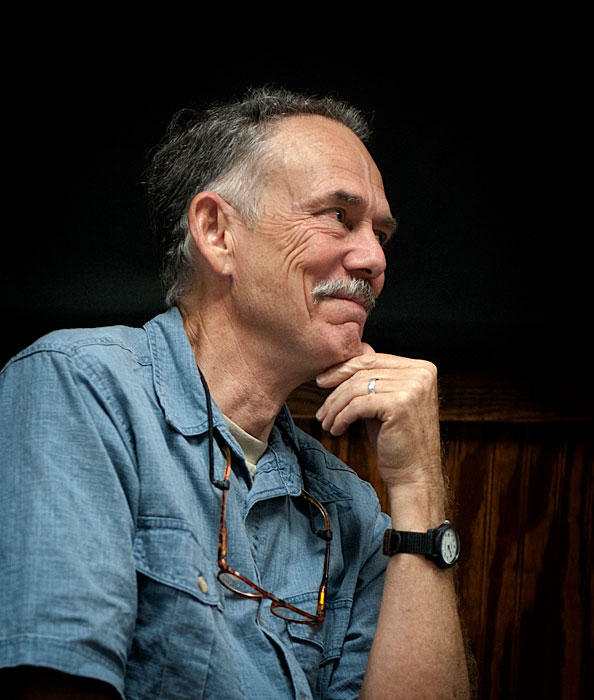 Each week, he brings awareness of conservation ethics and education about what makes our area special -- and worth preserving. 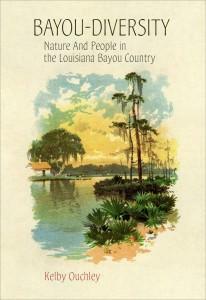 Archived editions of Bayou-Diversity (December 2014 and older) can be found here. "Mr. Elliott, the aeronaut, has attempted to make an ascension in New Orleans, but the wind proved to be too strong. After seating himself in his balloon, and cutting loose, he was swept violently across the arena, knocking down several persons in his passage." A saddled horse standing beside a giant eastern cottonwood is the subject of a nitrate-based cellulose negative. It was given to me by the man who took the shot in 1938 while prowling about for ivory-billed woodpeckers in Louisiana's vast Tensas Swamp. The tree appears to be nearly as wide as James Tanner's sorrel gelding is long. I have boyhood memories of motoring with my parents along a stretch of arrow-straight, asphalt highway as it passed through a vast and seemingly desolate swamp in north Louisiana. Understory palmetto fronds lent a tropical ambience and obscured the ground under the tall, dark trees. The road was an incision in the forested canopy. One of the most under-appreciated native trees in Louisiana grows in every parish, is important to wildlife, and has a fascinating local history. During the Autumn it is one of our most colorful trees as leaves on the same tree may be purple, burgundy, orange and yellow. The Druids thought it peculiar also. As you are traveling around the next few days, scan the tops of the leafless hardwood trees and look for the dark green clumps of mistletoe. Now contemplate just how they cam about growing in the loftiest boughs of our tallest oaks.